The entire printing industry faces the need for sustainability, improved brand and consumer engagement, and high expectations for recycling amongst consumers and governments. Data helps the graphics industry to exploit process automation to deliver enhanced value to customers. With efficient, predictable and stable production environments, output consistency and smart data, flexo printers can improve both print’s sustainability and margins. 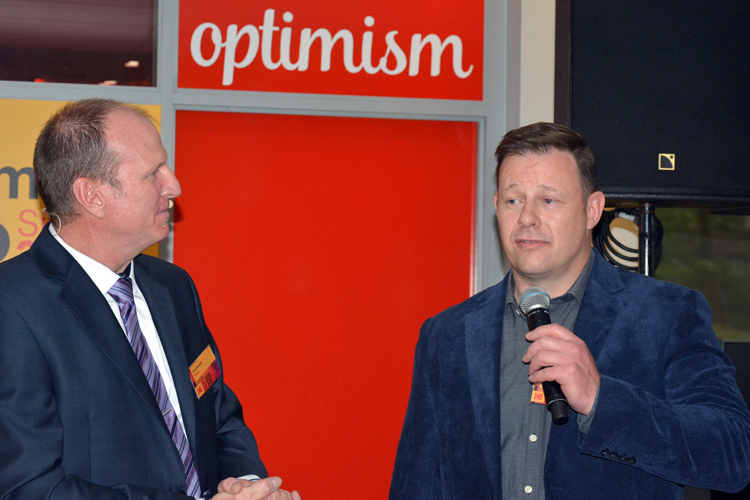 Grant Blewett, Kodak’s global sales director for packaging says that “over the last ten years this industry has moved along in leaps and bounds… the consistency and quality of flexo stands absolutely equal to other technologies and in many cases, can supersede them”. Flexo’s recent evolution has much in common with the development of offset printing since the 1980s. Both moved from being craft based to a manufacturing model and both have been deskilled, benefitting from process automation, digitisation and shorter prepress supply chains. Printers in both sectors add value with data management expertise and consistent process control. Since 2008, Kodak has been working on technologies to improve the predictability and reliability of flexo printing. For Kodak, a company with strong sustainability credentials and transformative imaging patents, the sector was a prime target for development and change. Kodak introduced its KODAK FLEXCEL NX System ten years ago and now has well over 500 installations. Flexographic printers work hard to manage output colour quality and consistency, but often waste ink, substrate and press time getting colour right. Technologies that help them improve stability and predictability drive productivity gains and growth. Dave Jarvis founder of PrintQuest, flexo prepress provider in the UK, was an early adopter of the FLEXCEL NX System technology. He has seen PrintQuest grow from an operation “set up in my garden shed” to a business with 16 employees. In the 1980s open systems and data formats drove supply chain collapse in prepress for the commercial print and publication markets. Low cost standardised prepress cut the cost of print, but in the 2000s competition from digital media posed an existential threat to the printing industry. It responded with innovations such as direct to plate and direct to press imaging. Digital print output process efficiencies and improved colour quality, lead an explosion in print applications. Colour and imaging process control made offset printing predictable and stable. Data management, production consistency, process reliability and inventive applications keep conventional printing competitive with electronic media. Brands increasingly drive graphics industry innovations, with complex integrated media projects using multiple digital and print formats, especially packaging. Today flexo is taking market share from other printing methods and seeing organic growth as more companies start to trust the process, which can deliver the stability and predictability of offset. Hamm says that ReproService’s customer base has “broadened with the Kodak system, the same customers are doing more runs and we achieved new customers. And customers are delivering more complex artwork than before because the process can support it”. As the pioneering FLEXCEL NX System technology has evolved Kodak has perfected a means to carry ink more effectively on the plate, using structured, engineered surface patterns on each printing dot “to hold ink and manage ink flow on the plate in a much more sophisticated way” as Payne explains. The plate printing surface is imaged with different patterns, with varying shapes and depths defined according to the imaged content’s printed output requirements. Kodak’s unique imaging technology and plate making process, renders this data accurately on the plate. The result is optimized print performance within the complex environment of the flexo process. Control is what FLEXCEL NX is all about. Martin Dreher Scientific director of the German Flexo Technical Association’s technology centre at the Stuttgart Media University sees a clear trend towards the use of advanced screening as flexo printers improve control over dot gain, notoriously difficult to manage in the flexo process. The rising use of high line screens in flexo is a wider trend and made possible because of enhanced imaging process control. Dreher says that due to FLEXCEL NX’s enhanced ink transfer “flexo samples are on a par and some of them [can be] much better than on a par with gravure”. Achieving such high results depends on process control and education. Stefano d’Andrea, technical consultant from FTA Europe, recommends keeping in mind the words of management guru Ed Deming: “it’s not enough to do your best, you must know what to do, and then do your best”. He also follow’s Albert Einstein’s advice that “the value of an outcome is in the process to achieve it”, remarking the importance of workflow calibration. With flexo following such principles can lead to improved process control and d’Andrea recommends flexo printers to take control. Industry insiders clearly expect flexo printing to take market share from gravure printing, in much the same way as offset has expanded its reach. Process and imaging control make it feasible to opt for FM screens and fixed colour palette printing with up to seven colours. This expands applications options for print buyers in all parts of industry, but especially for brand owners looking to extend their market reach via packaging innovations. Payne observes that “we’re still in the first innings with flexo, it takes time to gain brand buy-in and for additional capital investment in press equipment. But it’s happening. People that are in today have a tremendous opportunity”. Kodak, Flexcel and SquareSpot are trademarks of Kodak.